The Iranian regime has cracked down on SteelWorkers by raiding the workers’ houses at night and arresting the leaders, despite, the protest continues into its 38th day. Dozens of workers, protesters, and representatives of the Ahvaz Steel Factory have been arrested since midnight on Sunday, and arrests were ongoing as of Monday. So far, the names of 31 detainees have been published. The arrests are part of an effort to suppress the steelworkers’ protests, which reached its 39th day on Tuesday. 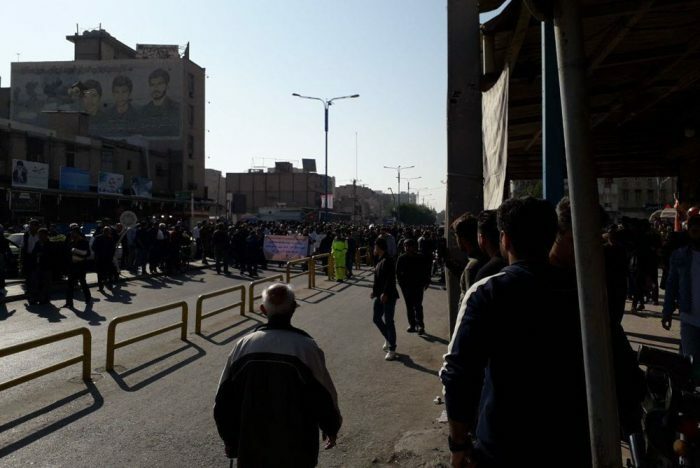 Repressive forces—including Ministry of Intelligence agents, riot police, and Revolutionary Guards—were positioned in strategic locations in Ahvaz in an attempt to prevent the steelworkers from continuing their protests. The workers of the Ahvaz steel factory went on strike 39 days ago because they had not received their wages for several months. They have continued their strikes and protests despite continuous threats and acts of intimidation from the regime. 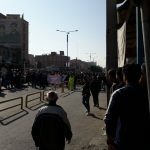 Workers from cities across Iran expressed solidarity with the striking steelworkers of Ahvaz, calling for the immediate release of the arrested workers. Among the workers expressing support were the Tehran Bus Company workers’ syndicate and truck drivers in various parts of Iran. Iran’s truck drivers have gone on strike four times this year because of low pay, rising fees, and hazardous conditions. The MEK and the Iranian Resistance applauds the workers of Ahvaz for their persistence and strength and calls upon the workers, young people, and students of Iran, particularly those in Ahvaz and Khuzestan, to support the steelworkers of Ahvaz in their strike. The MEK further calls upon international human rights organizations and workers’ rights advocates, unions, and syndicates to call for the release of the arrested workers, protesters, and representatives and to support the steelworkers in their protests. The MEK and the Iranian Resistance say that the regime’s arrests of the protesting steelworkers are another sign of the mullahs’ frustration with the ongoing nationwide workers’ strikes.